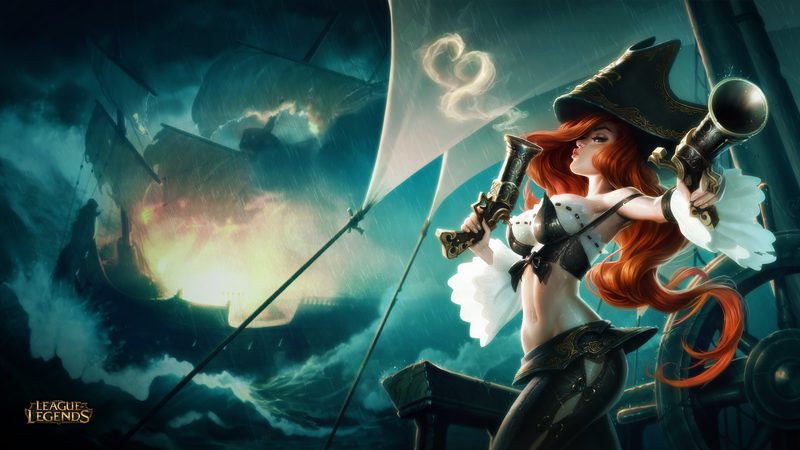 There are few who can match Miss Fortune in either. One of Bilgewater's most infamous bounty hunters, she built her legend upon a swathe of bullet-riddled corpses and captured ne’er-do-wells. The booming echoes of her twin pistols in the port city’s reeking wharfs and scavenger shanties are sure signs of another warrant from the Bounty Board being settled. As part of the Bilgewater: Burning Tides event, we’re updating Miss Fortune’s visuals, while tweaking her gameplay a little. 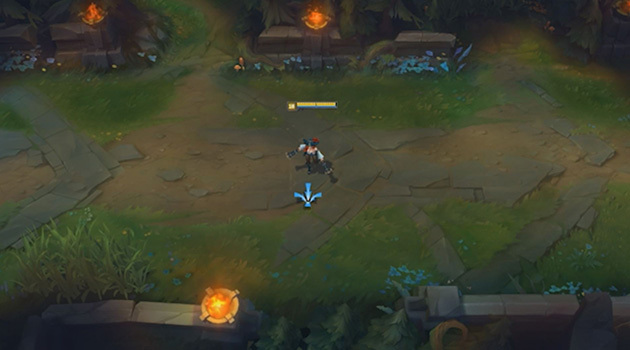 Miss Fortune gains gradually increasing movement speed after not taking damage for a few seconds. [New] Strut now has increased scaling based on level, and only falls off when Miss Fortune takes direct, non-periodic damage. 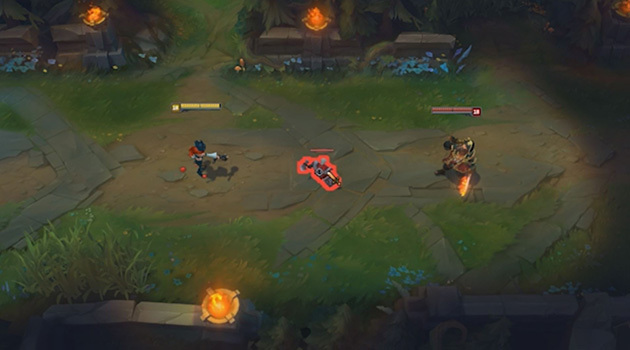 Miss Fortune fires a shot through an enemy to hit an enemy behind them, dealing physical damage to the first and increased physical damage to the second, applying on-hit effects to both. [New] If the first shot kills the target, the bounce damage increases. 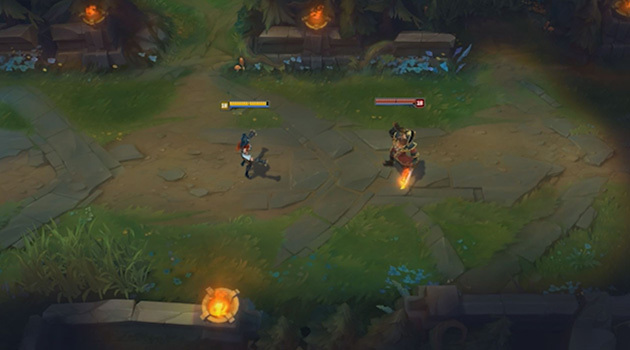 Passive: Miss Fortune’s basic attacks deal stacking bonus magic damage. Active: Miss Fortune gains bonus attack speed for a few seconds. [New] Activating Impure Shots enables Strut. 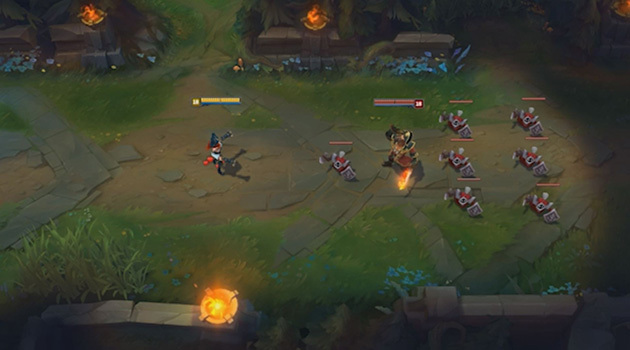 Miss Fortune rains hundreds of bullets down onto a targeted area, damaging and slowing enemies inside. Miss Fortune plants her feet and unleashes a barrage of bullets in a cone in front of her over a few seconds that damage all enemies within the cone. Miss Fortune’s in a fairly healthy state. The slight changes we’ve made emphasize her core strengths and shave some hidden power in favor of clarity. Fancy design speak aside, the TLDR is your ultimate barrage of bullets remains unblemished, but we’ve removed Grievous Wounds from Impure Shots. 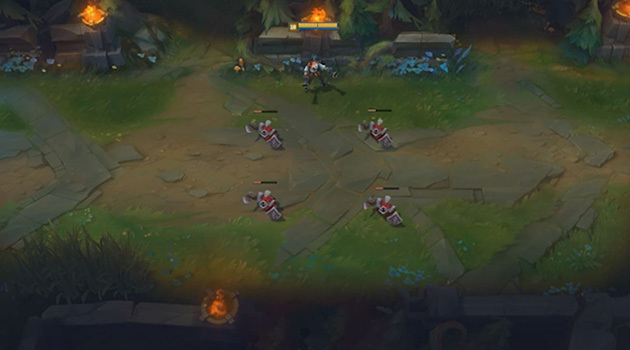 Digging into some of the other smaller changes, the updated Strut means shields will keep her passive up when fleeing or engaging and we’ve replaced Grievous Wounds on Impure Shots with new surprise strutting: activating her W now grants Miss Fortune’s passive instantly. The slight changes we’ve made emphasize her core strengths and shave some hidden power in favor of clarity. We’ve cleaned up the bounce logic for Double Up (yes, we’ve done this before) and improved visual feedback when the ability fails. Now you’ll see a dud bullet plop onto the ground a bit behind the first target if there isn’t anything to hit. Make It Rain’s a slick package of utility wrapped in a hail of bullets, so we’ve increased the early rank slow, although it doesn’t scale up quite as fast. Overall, we’ve reduced the duration but kept the damage the same. This’ll make the damage slightly more consistent, and provides clarity for both MF and anyone caught in pig-iron precipitation. Miss Fortune’s donned a new model for almost all of her skins (her Arcade self was already pretty snazzy) and her base, although we’ve kept the familiar look you’ll recognize from her splash art. With new run animations, we’ve made it easier to tell when her passive is up. Miss Fortune’s donned a new model for almost all of her skins and her base, although we’ve kept the familiar look you’ll recognize from her splash art. We’ve also taken the opportunity to gussy up her spell effects. Make it Rain, for example, now kicks up dust from the dirt lanes or splashes into the river depending on where it’s targeted. You’ll see a few other improvements to readability and general upkeep bringing her art in line with current standards, but that’s the gist of how we’ve given the bloody-haired Bounty Hunter new paint and polish in this update. MF joins Gangplank and a whole slew of event-related content on PBE, so while we’ve steered clear of any spoilers in this piece, just be mindful if you go fishing for other Bilgewater news. Leave your comments and feedback below, and we’ll see you on the battlefield!